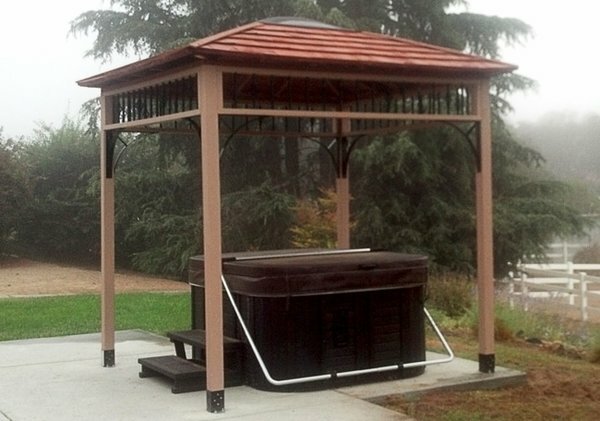 The Outdoor Living Today 9x9 Naramata Spa Shelter is your answer to a shade cover, hot tub spa shelter, or entertainment area. 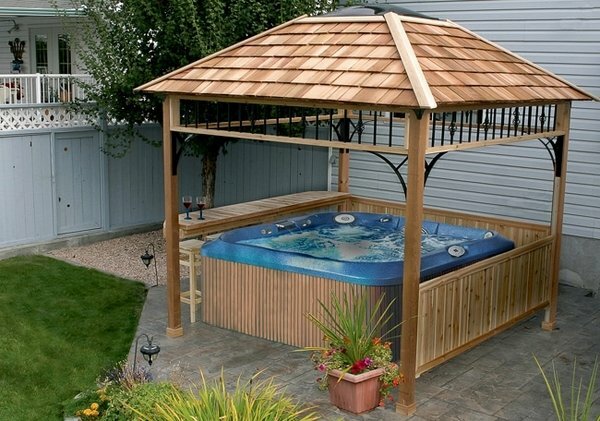 It's made from lovely Western Red Cedar wood which is built to last. 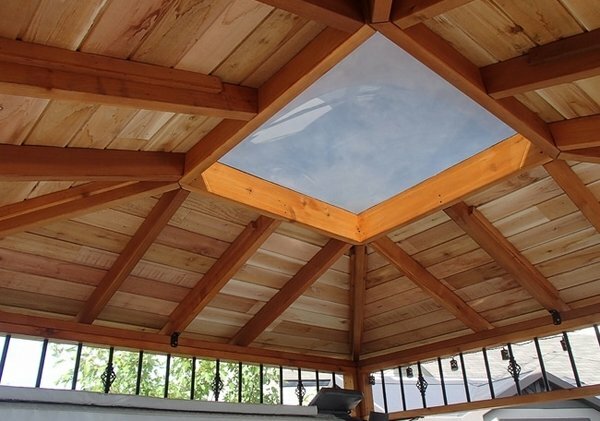 The spa shelter includes a cedar lap sided ceiling and even a viewing skylight. 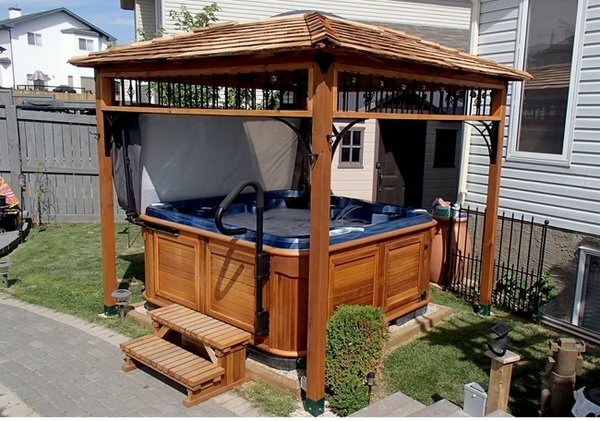 It has a pre-shingled cedar roof with shingles already attached for your convenience. The walls are panelized for quick assembly. Contemporary Black Aluminum Balusters and Corner Brackets included along with hardware (screws and nails) included.